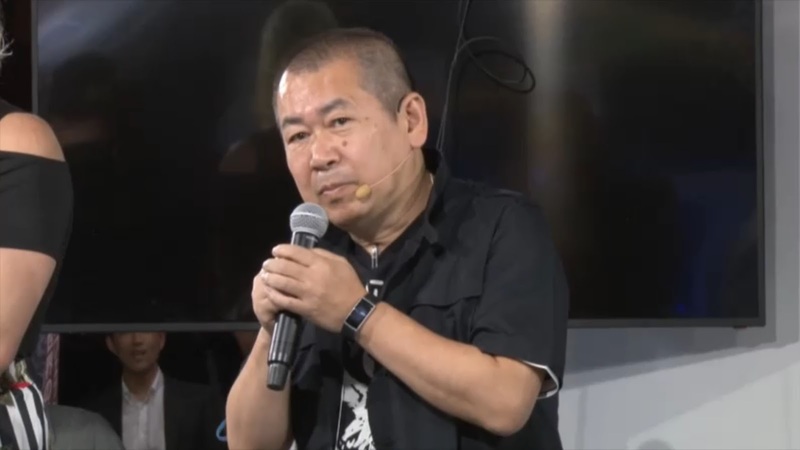 Today Yu Suzuki made an appearance on the stage at the 2018 Tokyo Game Show -- not in this case for Shenmue (although he did take the opportunity to play the recent Shenmue III trailer), but rather as part of a presentation to announce a new virtual reality arcade game. 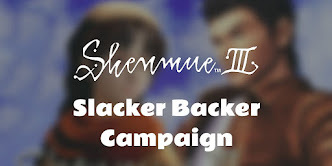 Yu was approached to participate in the project, and has taken up the role of General Producer for its development. He will be working on the game together with virtual reality company JPPVR Corporation, a company that sell VR rigs for arcades, and their software development subsidiary company VRes. 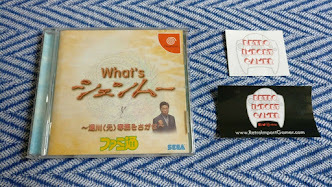 Yu explained that some of the reasons for his involvement include his extensive background in developing arcade games at SEGA since the early 1980s, as well as his interest and experience in Virtual Reality (he made reference to some involvement in VR around 1991 - perhaps not coincidentally this was the period when the Sega VR headset was under development, although it didn't make it to market). Yu also mentioned that one of the reasons he agreed to become a part of this project was because he wants to help "liven up" the arcades. 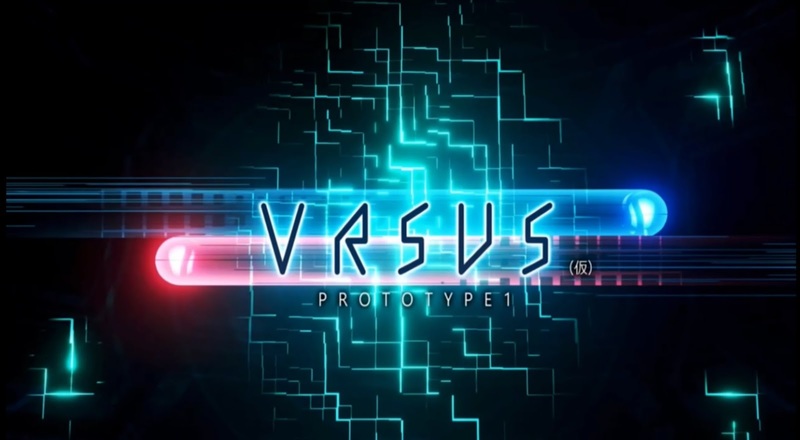 The working title for the new game is VRSUS (pronounced "versus"), a play on the nature of the game being a one-on-one battle in a virtual reality space, and a prototype has already been developed. A demonstration of an actual battle was also given using the prototype. 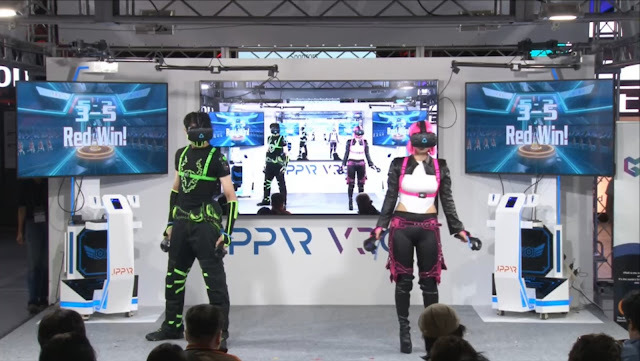 The two players were equipped with a VR headset suspended from overhead arms, and held position-sensing controllers in their hands that allowed them to fire a stream of ball-like missiles. Commented Yu: "In its current state it is a true prototype, and I'm still feeling out which aspects will make for an interesting game. Going forward I'd like to work with things like 'bullet time' (which slows down time) and the concept of dodging through a slew of balls within a 3D confined space". 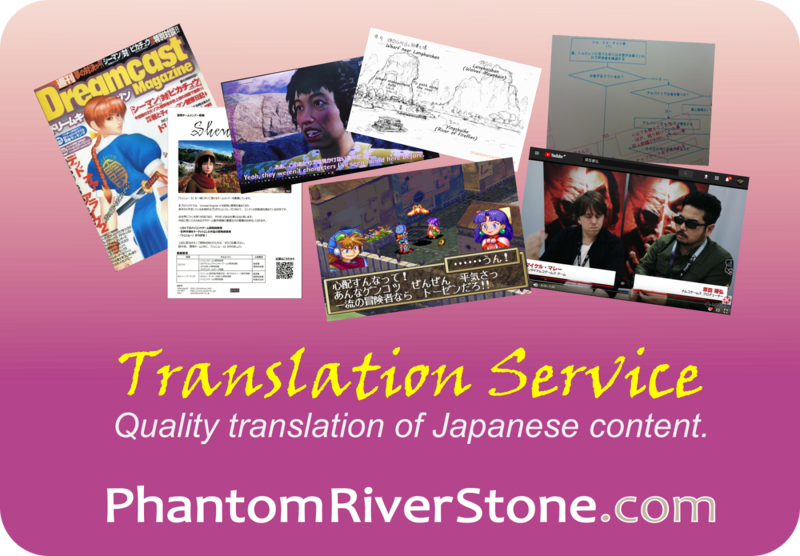 Video of the presentation (mainly in Japanese) can be viewed on Niconico.